2. 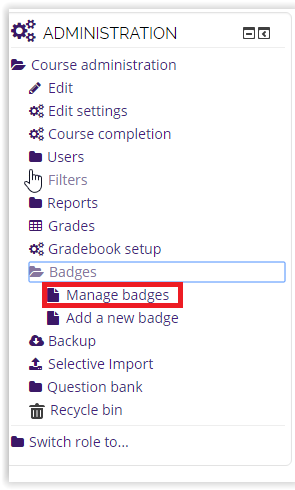 In the Administration section, select Badges then select the manage badges option. 3. Your Badges screen should appear. Select the badge you wish to edit. 4. Select the Edit Details Tab. 5. Edit the details then select Save Changes at the bottom of the screen.